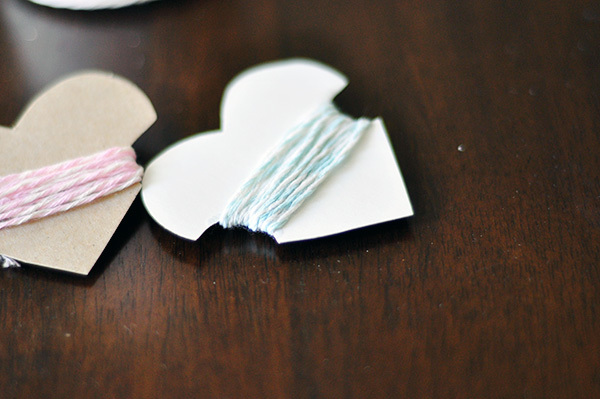 I needed bakers twine for the Valentine's Day Card I made, but did not have any on hand. I decided to try to make some baker's twine with some butchers twine I had at home. I want to note that if you need a lot of baker's twine then it probably makes more sense for you to buy it. But if you just need a couple of yards or live somewhere that does not sell baker's twine, then this tutorial is for you. Use a drill to separate the butchers twine into two strands. Take one of the strands and dye it with the dye of your choice, I used food coloring which worked ok for a more light pastel color. Wait for the strand to dry and then knot together with the other strand. Attach the knotted end to your drill and spin the two strands together. Use drill to unwind the butchers twine into "sub-strands". Dye one of the strands with the dye of your choice. I used food coloring which is on the lighter end once it dries. 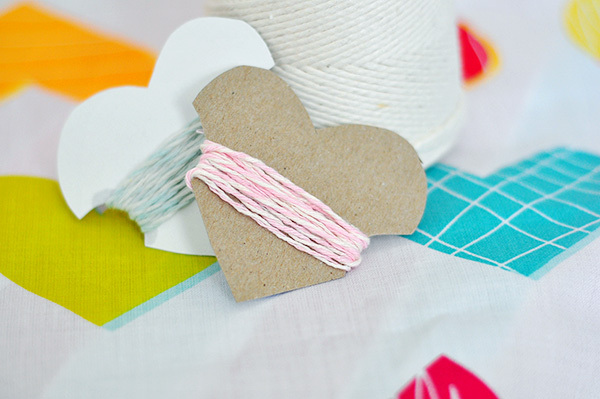 If you are working with string that is thin, you do not have to unwind the two strands. Simply dye one strand and wind it together with the another. Once the dyed strand dries, knot both strands together and attach knotted end to the drill. Hold opposite end and turn on drill to wind strands together. If your strands are long you may need to have someone help you hold the other end while you operate the drill. The idea of winding the strands with a drill is brilliant. I have to try this. This is incredible. Just yesterday I was at Crate and Barrel and they had baker's twine, right there, red and white, without me even looking for it. It was even on sale! I can't tell you how many stores I visited before yesterday where it just popped out of no where. The funny part about it, I didn't even buy it. This is a great idea. Mahalo for sharing. hahaha! 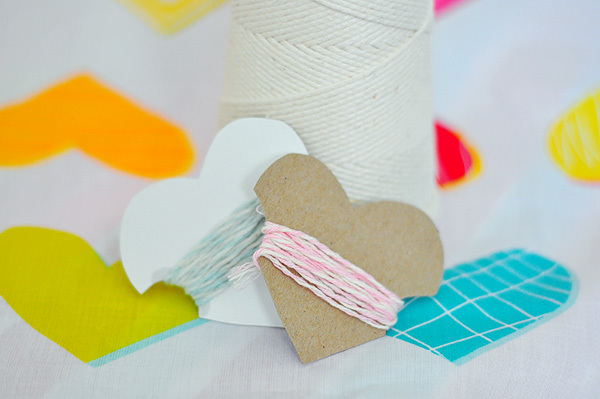 i love that you brought a power tool into a project involving baker's twine :) great tutorial! I do the same thing with large balls of crochet thread. There's no place that sells baker's twine where I live. Essays are baby samples of knowledge. You cannot busy on an amaranthine discussion. http://essaychest.com/You charge accord it a able articulation and aback up with admiring arguments and discussions. The article charge adjure reader's anticipation process. Keep aggregate in moderation. Do not lose your focus. Nice post.I love your all post.Here is more informative information for us. The convenience in Delhi could be of the lease sort, could be completely outfitted houses, or even overhauled condos. There are suites accessible for the general population looking for a vast convenience. There are even single room condos for the individuals who look for littler housing. Individuals have alternatives to look over 2 room, 3 room lofts or even single houses. All the information in this post is awesome.